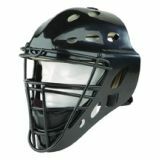 Adult Hockey Style Catcher's Mask, ABS Shell, Steel Cage, Fits 7.5"-8"
Adult Hockey Style Catcher's Mask, Fits Head Size 7 1/8"-8"
Hockey Style Catcher's Helmet is made of durable high-impact ABS plastic with a reinforced steel cage for safety. The foam liner, ventilation holes, adjustable block plate and chin pad, provide a snug fit with proper air circulation. 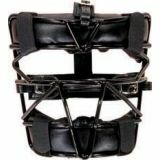 FaceFirst Fielder's Mask has wider line of sight for superior vision, frosted bars for less glare from the sun, unique split strap head harness, recessed side design for glasses. Removable chin pad, lightweight yet secure fit. For ages 9+. 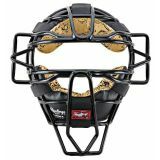 Fastpitch Facemask with Chincup for Softball. Meets NOCSAE standards, approved for softball only. Includes chincup and fits WLBH and WLBHA, black. 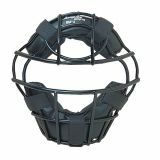 Fielder's Mask with lightweight wire configuration that increases visibility for fielders. 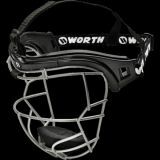 Can be shaped for custom fit, split strap head harness, designed for softball use only. Excellent tool when first learning to play catch, fits age 11-, pink. 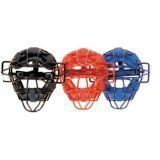 Fielder's Mask with lightweight wire configuration that increases visibility for fielders. 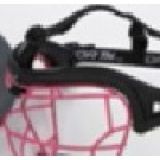 Can be shaped for custom fit, split strap head harness, designed for softball use only. Excellent tool when first learning to play catch, fits age 12+, black. 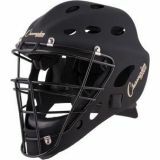 This Champion Sports Heavy-Duty Youth Catcher's Mask keeps your young players safe behind the plate. 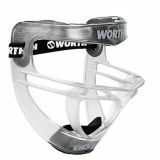 The mask features a heavy-duty wire frame and durable padding for superior comfort and protection. Lightweight mask has hollow wire construction with leather covering on inside mask for comfort and moisture absorption. Includes harness, black. 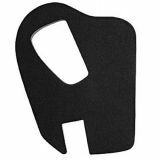 Liberty Fit Kit includes 2 side pads for reducing fit 2-3 hat sizes. Fits WLBH and WLBHA with easy Velcro attachments to existing pads.